KALTAG, Alaska, March 13, 2014 (ENS) – This is a story that needs to be told: an ancient culture imperiled and under siege as Bering Sea fish resources are sold off to the highest bidder. Poor people eliminated from the bidding war, their subsistence resources eliminated, the spiral downward to hopelessness and despair, and then, too often, suicide. The story is difficult to communicate due to the remote location of Alaska’s Native village of Kaltag and its stark cultural differences with modern America. Tragically, this is not a situation that is new to Alaska and Alaskan Natives. More than 140 years ago, in 1870, in a transaction carefully hidden from the American public, the American government sold the fur seal population on Alaska’s Pribilof Islands. The American government did not just sell the fur seals. It sold the labor of people of the Pribilofs to harvest the seals. Keeping them enslaved for almost 100 years, it was a totalitarian government regime hidden from the public. A true, but dark story, that could only have continued for 100 years if the truth could be hidden from the public. With one documentary film, public outrage could have ended this shameful government policy decades earlier than it did end during World War II. Whether it was fur seals in 1900, or fish in 2014, the arguments to persuade Congress to endorse resource extraction at the expense of local communities are virtually the same, word for word. These groups share a common failing trait – few of these well-intended fisheries experts have spent much time in the villages surrounding the Bering Sea. 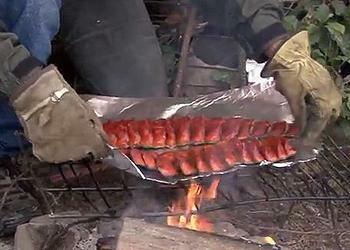 Their theories are destroying a culture dependent upon salmon. 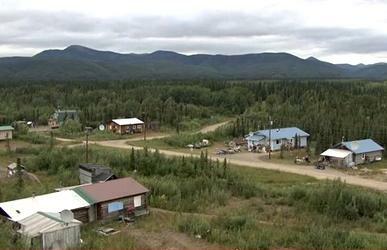 Kaltag, a Native village of 190 residents, is on the west bank of the Yukon River, which flows to the Bering Sea. The tragedy that Levin documents began unfolding in 1976, when the 200 mile limit was established, defining the United States’ Exclusive Economic Zone. A gold rush for fish began, and the grand prize was the pollock fishery in Alaska’s Bering Sea. Pollock is the ocean’s most eaten fish. If you have eaten a fishwich or imitation crab, then you know what pollock tastes like. Over three billion pounds a year are pulled from Alaskan waters. The political scheme in rationalization of fish boils down to a single goal, maximizing profits for a elite group of fishing license holders. Politics means money, and poor people almost always lose. They become trapped economically, as their local resources are stripped from them forever, under the guise of rationalization. This rush for pollock also began to catch millions of salmon headed upstream to spawn in the rivers surrounding the Bering Sea, where Kaltag and similar villages are situated. When CBS television’s “Undercover Boss’ series featured the CEO of the pollock fishing company American Seafoods, the 2012 episode begins with the CEO taking off from his mansion in the company helicopter, commuting to the company’s private jet. Compared to these villages, the contrast could not be starker. Why did relative newcomers to the fishery become extraordinarily rich, while the local residents remain poor? Whether the year was 1900 or 2000, the factor separating prosperity from poverty has been politics. Whoever received the free fishing licenses from Congress got rich. Under pressure, Congress finally caved in and awarded pollock fishing licenses to local communities to be held collectively and in perpetuity. Villages were awarded a stingy 10 percent of the licenses, called Community Development Quotas, or CDQs. When the CDQ holders began to trawl for pollock, they saw the salmon that they once subsisted on through the freezing winter months killed and tossed overboard as “bycatch,” the term for non-target species. The CDQ holders developed techniques which reduced this slaughter of the precious salmon that once fed the people in their villages. The CDQ holders finally revealed the truth, and forced minor changes in fishing practices, but the damage had been done after decades of uncaring and unnecessary waste. American Seafoods was fined $2.7 million in 2013 for rigging their scales and “stealing fish.” Scales on many of their vessels were under-weighing their pollock harvest from six percent up to 70 percent. Onboard federal fisheries observers caught this theft. 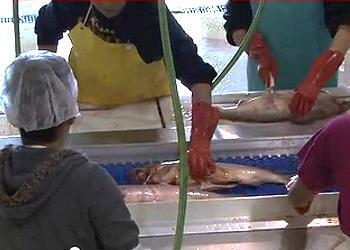 These observers are trapped at sea on the fishing vessels and are treated like snitches. The same, often single, observers are also tasked with compiling data on the number of salmon killed because the reliability of salmon harvest data is questioned due to the profits involved, the pressure on observers, and the incentives to cheat. The fine for American Seafoods was likely less than the millions of pounds of fish taken. Any competent accountant would have noticed that the company was selling more pollock than their quota allowed them to harvest. During this survey 90 years ago, massive amounts of salmon were being harvested. Locally managed, the salmon runs had been sustainable for centuries, until Washington, DC became involved in the management of these resources. By 1997 the salmon runs had collapsed. Poverty, hopelessness and suicides followed. For any documentary to be effective it needs to inspire good people to take action. 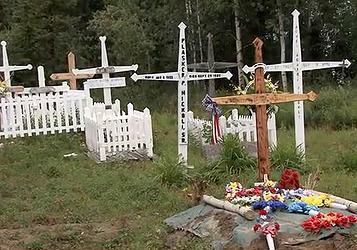 The circumstances in these Native Alaskan villages are dire. Their culture and their very existence is at stake. This is a national tragedy, with suicides of predominantly young men running 69 times the national average. Local villages need 50 percent of the fishing licenses in their regional waters as a birthright and as the essential resource needed for their survival. Congress revisits these fishing laws every 10 years, and Congress is reviewing them right now. Levin’s documentary tells the story that Congress needs to hear. If you send this link to your family and friends and they send it to their families and friends, the impact could be great, as the petition will be distributed to Congress.